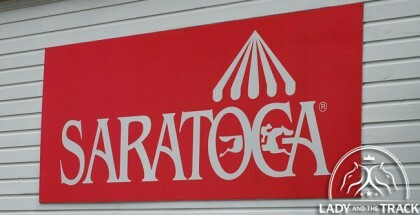 More Distance Helps Tin Type Gal in Lake George Stakes by Reinier Macatangay: Opening day at Saratoga Race Course features the $200,000 Lake George Stakes (GII) for 3-year-old fillies at the distance of 1 1/16 miles on turf. The field looks deep enough, but bettors should pay particular attention to My Meadowview Farm’s Tin Type Gal, winner of the Miss Grillo Stakes (GIII) at Belmont Park last fall. The Graham Motion-trained runner owns two wins out of four starts, with no other in-the-money finishes. Her two wins came at the 1 1/16th-mile distance, while the losses came in shorter events. First, it is important to establish the record of Tin Type Gal’s dam, Miss Shop. A quick glance at Miss Shop’s career shows she excelled at longer distances. She won the 2007 Personal Ensign Stakes (GI) back when it was contested at 1 1/4 miles, and also took home the 1 1/8-mile Rampart Handicap (GII), Sunshine Millions Filly and Mare Turf Stakes and Turnback the Alarm Handicap. Needless to say, if more female 10-furlong races existed, Miss Shop might own a few more stakes wins too. Therefore, it make sense Miss Shop’s foals will enjoy longer races, and although Miss Shop won mostly on dirt, she ran decently on turf as well and her foals may thrive on grass. Motion commented on Tin Type Gal’s surface preference last year. “I think she’ll be a superior grass horse,” he said. Circling back to Tin Type Gal’s record, cross out the first career race in her form. The 5 1/12-furlong turf sprint was rained onto the main track at Saratoga, and considering the dam, she had no chance at the short distance. Tin Type Gal improved in her second career start when winning a 1 1/16th-mile maiden turf race by one length. Next, Tin Type Gal ran in the Miss Grillo, which annually acts as a prep race for the Breeders’ Cup Juvenile Fillies Turf (GI). The daughter of Tapit overcame a slow pace and closed impressively for a nose victory, but unfortunately, a physical issue prevented her from going on to Keeneland and running against the best turf fillies. 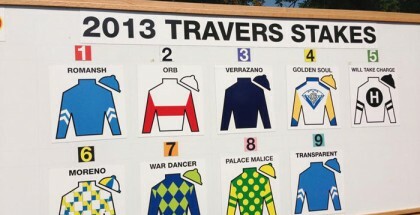 Turf races can be a challenge because of the effort required to watch replays, but at the very least, Tin Type Gal will move forward in her second start off the bench at a more suitable distance. She drew poorly though in post 12. The winner of the Wild Applause, Ancient Secret, is hard to ignore as well. The daughter of Kantharos hails from the Chad Brown barn, and she remains undefeated in three overall starts. If nothing else, Ancient Secret looked great mowing down Thundering Sky, who benefited from that initial slow quarter and had first run on the leader. Irad Ortiz Jr. rides Ancient Secret, and his brother Jose Ortiz pilots Tin Type Gal. As for other options, the European shipper Diamond Fields gets Lasix and will attract money as a foreigner. Outsider Art had no pace to work with in the ungraded Christiana Stakes at Delaware, and could surprise this field. Try Your Luck is yet another contender with a chance, and she will display tactical speed under John Velazquez. The aforementioned Thundering Sky offers speed as well, and she gets another chance to upset Ancient Secret. Still, Tin Type Gal is the most intriguing option because the loss last time will discourage a few people, and this game is about finding the right value. As a gray daughter of Tapit, no one will mind if she wins.